Happy Mothers Day | A.B.E. Remodeling, INC.
We just wanted to take a minute and send our best thoughts and greetings to Mom's Everywhere. 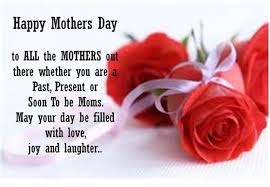 So on this beautiful sun-shinning day with a pretty blue sky....we wish you ladies a wonderful Mother's Day. Anyone that loves their children with all their heart can fall into to the Mother catagory. but since today belongs to the Mothers... We recognize you!! Here's to being a great role mom! And for Mom's in Heaven...we miss you. Enjoy your day-and the little things.